We love adding storage in places you wouldn't expect it. Optimising a space often means ensuring it can serve several functions at the same time. A fitted seat that has built in cupboards is a great way of using otherwise dead space and making the most of your home. We also do bespoke furniture without storage... You can see our bespoke furniture projects over on our Bespoke Furniture page. Lozi's fitted seat and storage combination helps you really get the bets use from your space. In small urban homes where square footage is at a premium it makes sense to use every inch. Bespoke drawers and cupboards built directly into the structure of these seats keep everything neat and tidy and make sure no space is wasted. Bathroom storage can be tricky to get right, combining space efficiency, waterproof materials and modern style. From vanity units to mini shelving systems, Lozi can create the perfect bathroom storage for you. Free standing bookshelves are a classic way of creating extra storage in a rented space. Our shelving system is made to measure and to order so you can make sure it will fit wherever you might need it, or you could get a custom piece designed just for you. Love your piece so much you want it to move with you every time you move? 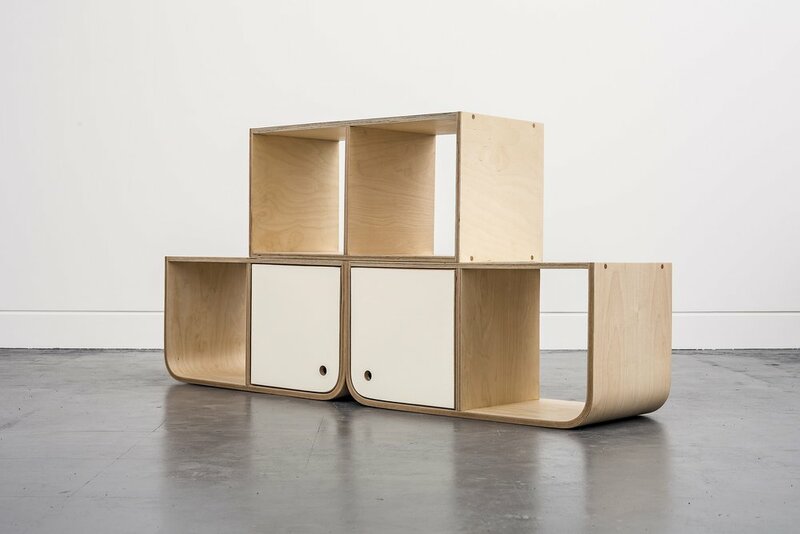 Lozi's modular storage is designed to adapt to any space. Just see Svett's home if you don't believe us. Large scale storage systems can be made by extending these individual building blocks, creating ample storage space you can guarantee with fit into your next home.